In recent years one day picnic has gained lots of popularity among the city dwellers and to be more particular among the youngsters. These one day picnics are obviously focused around nearby locations minimizing the time required for reaching the places. In this blog we will review one day picnic spots near Mumbai. They can be roughly categorized into resorts, places of historical importance, places of fun and entertainment like water parks and religious places. The most popular one day picnic spots are at Karnala, Lonavala, Khandala, Alibaug, Igatpuri, Karjat and Durshet at Khopoli. Picnic spot near Panvel, Karnala Bird Sanctuary is the most convenient picnic spot located on the Mumbai Goa highway. It can be easily reached from Mumbai and Panvel. The Karnala bird sanctuary is the highlight of this place and the steep rock pillar or thumb shaped pinnacle is the landmark which is visible from a far distance. It is a paradise for the bird watchers. The other attraction is the 12th century fort called karnala fort. On the Mumbai Pune road Khandala and Lonavala are another beautiful spots located on the heights of Sahyadri. Visit these spots especially in rainy season. Alibag is all about fun on the exotic beaches. Igatpuri is popular for the forests, dams and wild life sanctuary. Many historic places, temples and forts are located in and around Karjat. Durshet forest lodge at Khopoli, amidst forty two acres of forest is good for adventure activities. Panoramic Resort the picnic spot near Karnala, is the best venue for one day picnicking with family and friends, which is located on a prime location on Mumbai Goa road. 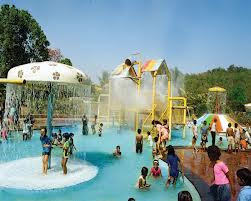 It is the ultimate all in one picnic spot including a range of in house attractions like water parks with latest rides, kid’s slides and swimming pool. The rain dance facility, luxury cottages, sheds for day picnickers at the resort enhance mood of one day picnickers. A multi cuisine restaurant of the resort offers an incredible variety of tasty food. The resort has ample surrounding space for big events, functions and group partying. Get concessions on group bookings at Panoramic resort and avail the special packages for school students. Mumbai, the financial capital of India, is among the worlds most popular cities. It is popularly said that Mumbai never sleeps. People from all corners of the world visit this buzzed up city for many reasons. Some visits for business purpose while others for finding some source of income. As the city is expanding very fast its requirements like residence complexes, transportation and even the leisure facilities is on an increasing trend. Many new resorts, water parks, leisure and entertainment facilities are coming up in the city as well as on the outskirts of the city. 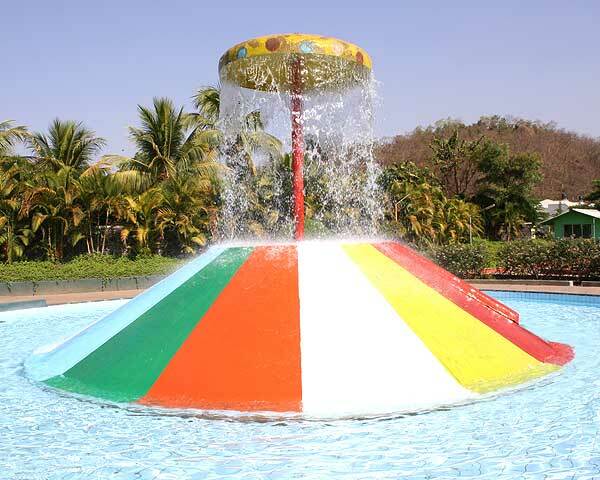 One can select one from the many one day picnic resorts near Mumbai. These one day picnic resorts are evenly distributed on the boundaries of the Mumbai city. Many of the resorts are located on the western coastal region of the city. All these resorts are well located between Mumbai and Pune, so they can be easily accessed from Mumbai as well as Pune. Panoramic resort at Karnala is one of the enthralling resorts located near Panvel on the Mumbai Goa highway. Panvel has become a junction for all the routes going away from Mumbai. Our resort was planned in such a way that it will serve one day picnickers from Mumbai, Thane and Pune. They find our resort more enjoying because of the excellent facilities and means of entertainment it provides. There are exclusive water games, luxury rooms for visitors and spacious outer area best for enjoying fun on the field. Indoor entertainment is available for the kids and those who enjoy indoor games. Apart from one day visitors, the resort is also best for those who want to spend a few days in the calm surroundings of Karnala forest. Even the resort, which is spread on a huge area, is best for big family events as well as social festival celebrations. We offer special concessions for groups and school students. Visit our resort to enjoy lot of fun and facilities at a reasonable all inclusive rate.